Anderson .Paak’s first appearance at Coachella would bring a big surprise, as he invited his mentor and Aftermath Label owner, Dr. Dre onto stage with him. Beats by Dre created a surprise documentary to commemorate the partnership, following the two’s rehearsals in the weeks leading up to their coachella performance. 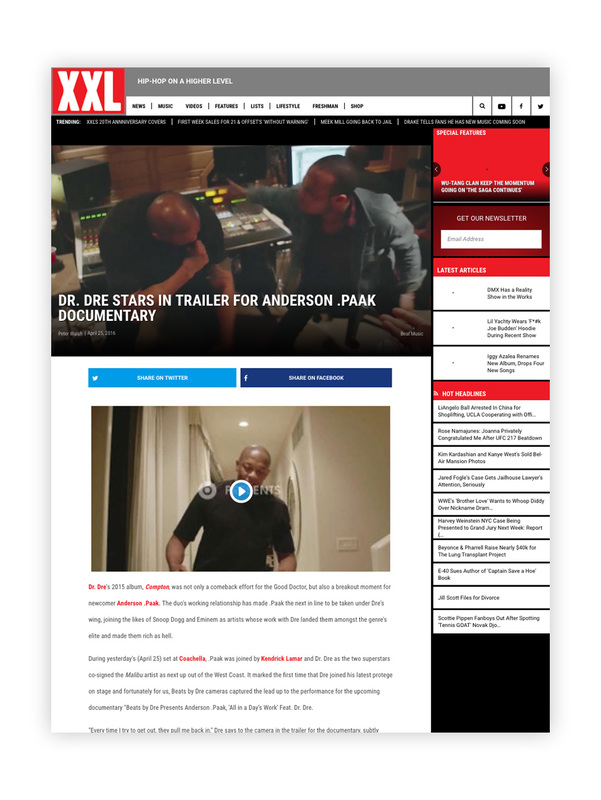 By launching the full, edited documentary in the week following Coachella, we were able to move at the speed of culture and take advantage of the press cycle and pop-culture attention span, dropping high-quality, high-tier exclusive content at the most relevant time. Project completed while working as digital campaign strategy lead at Beats by Dre.